This Live Blog session closed at 18:01 on 30 Jan 2019. Good morning, and welcome to the FT’s live coverage of a busy day for Theresa May as she tries to break the deadlock over the UK’s withdrawal from the EU. After last night’s vote by MPs to renegotiate the Irish backstop, Mrs May has promised to reopen the deal, but faces firm opposition in Brussels. Much will depend on the outcome on a series of talks today, not least with opposition leader Jeremy Corbyn and counterparts in the EU. Opposition Labour leader Jeremy Corbyn will meet the PM after she has taken questions in parliament. He is expected to push Mrs May to rule out a no-deal Brexit and push for an alternative Brexit plan of his own – both of which the PM is unlikely to embrace even if Tories and allies only hold a narrow majority in parliament. Brexit negotiator Michel Barnier told reporters this morning that “the EU institutions remain united, and we stand by the agreement that we have negotiated with the UK”, setting the stage for a difficult conversation between Mrs May and Brussels later today. Also this morning, German foreign minister Heiko Maas called for the UK to be clearer about what changes it wants to the Irish backstop, an arrangement to avoid a hard border with Northern Ireland after Brexit. The call for more information from Britain was repeated by the EU’s Frans Timmermans, who told reporters that the UK government needed to clarify its intentions. Ireland insists there is no scope to rework the backstop, reports the FT’s Arthur Beesley, saying viable alternatives were not found in two years of talks between Britain and the EU. Simon Coveney, deputy Irish premier, said on Twitter that developments in Westminster “do nothing” to change the requirement for a insurance policy to avoid a hard border. He stuck with stance in an interview on RTE, the national broadcaster. We have been through all of these things. We have tested them and we have found that they do not stand up to scrutiny, and now we have a British prime minister advocating again for the same things that were tested. Saying Ireland could not approach the talks on the basis of UK threats, he accused Britain of using the tactics of a person who says “give me what I want or I’ll jump out the window”. He also criticised Theresa May for recommending that her party vote against the deal she herself negotiated. If you look at her interviews in recent weeks she [Mrs May] talks about saying we can’t sit around and say we don’t want border infrastructure, we have to have legal and practical ways of doing that and that is why she defends the backstop. 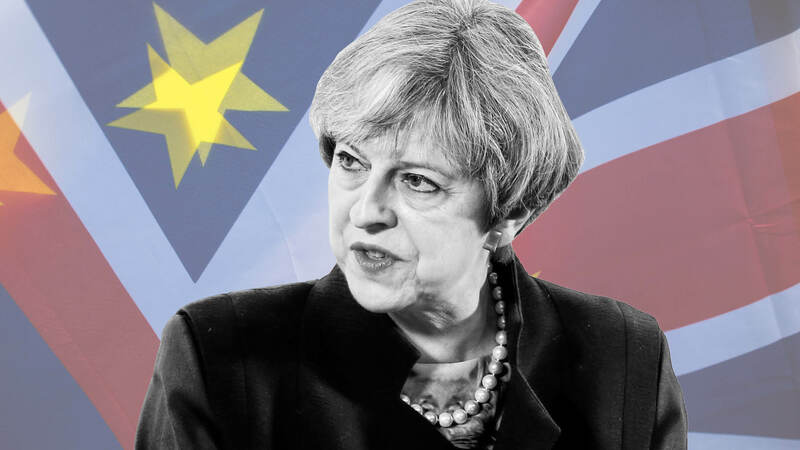 Theresa May might be heading back to Brussels soon but the EU isn’t waiting around for the PM as it ramps up its Brexit contingency planning, the FT’s Mehreen Khan reports. The European Commission today approved another package of “no deal” Brexit measures. They will allow UK students taking part in Erasumus study abroad schemes in March 2019 to carry on “uninterrupted” and will allow British beneficiaries from the EU budget to keep receiving funding as long as the Brits pay their exit bill. The safeguards are the latest in the line of temporary measures being drawn up by Brussels to cushion the impact of a no deal Brexit for some businesses and citizens. But the commission has insisted that its fallback plans will be time limited and designed only to mitigate a small part of the chaos of a no deal. 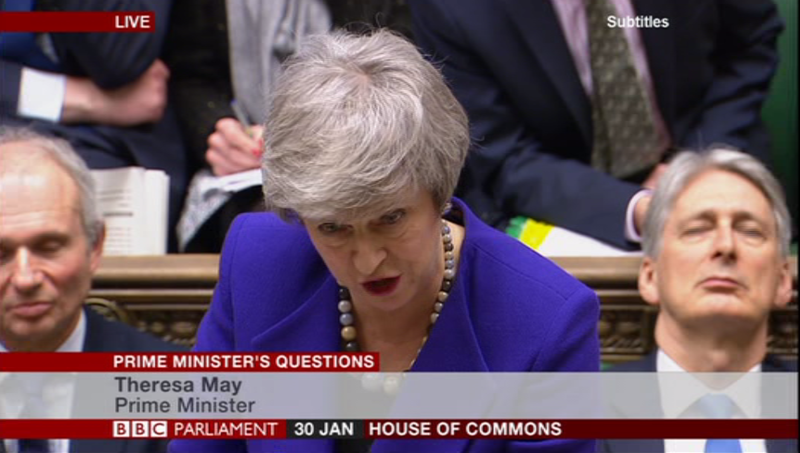 As this is the weekly questions that the PM faces every Wednesday, it is perhaps not surprising that the first 2 questions have nothing to do with Brexit given that MPs spent most of yesterday debating that topic. It will be interesting to see whether Labour leader Jeremy Corbyn goes there with his first question. Leader opposition leader Jeremy Corbyn has asked about renegotiating the Irish backstop – and what the alternative arrangements might be. The PM says there are a number of proposals being put forward, including a time limit to backstop and mutual recognition of trusted trader schemes. Labour leader Jeremy Corbyn points out to May that the EU would renegotiate if she was prepared to change her red lines. He asks her which ones she is prepared to change. The PM obfuscates and accuses the Labour leader of not taking questions from her backbenchers. Can you answer my question on red lines? Corbyn points out he didn’t get an answer from the PM on what red lines she would change. Theresa May fails to answer the question. Corbyn asks about what technology might come forward to solve the Irish border problem. 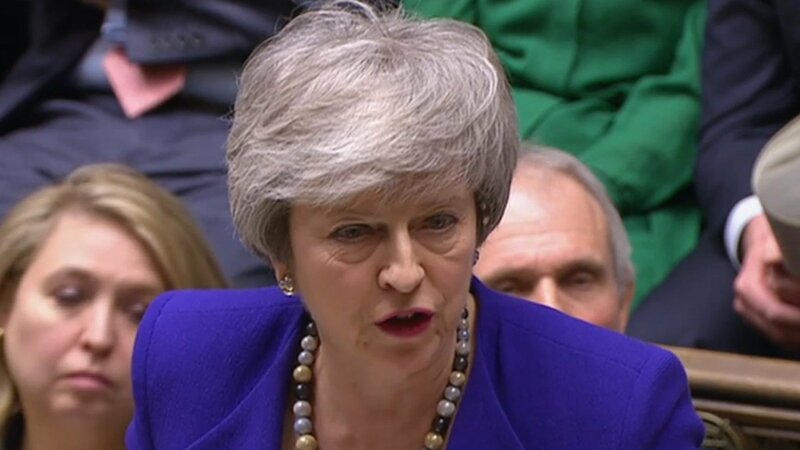 May dodges the question, saying that the house voted against a hard border between Northern Ireland and Ireland but also a change to the backstop plan – which she will take back to the EU to avoid no-deal. “I am working to ensure we get a deal,” she says. The SNP’s Westminster leader Ian Blackford has demanded answers over the terms of any alternative arrangement for Brexit, asking if May has misled MPs. May responses that she is looking at what can be changed, what can be taken to Brussels, and what can be fought for to gain support of MPs. She reiterates support for the Belfast Good Friday agreement. The PM is using the fact that all bar 2 of the 7 motions were defeated on Tuesday to reject any attempts by opposition MPs to point out the flaws in her plan to try to renegotiate a deal the EU says it will not re-open. She refutes suggestion that the UK’s government approach to the Irish backstop will undermine the Good Friday peace agreement (which led to the removal of the hard border on the island of Ireland), insisting her government remains committed to it. The UK government is banking on the fact that if the EU rejects re-opening the withdrawal agreement London will be able to blame Brussels for any hard border between the Republic and Northern Ireland. (The UK has insisted it will not erect a border even in the event of a no deal). Having re-unified the Tory party around the Brady amendment last night – which demanded the Irish backstop is scrapped in favour of unspecificied “alternative arrangements”, the PM is doing her best to keep it together. Brexiters have already hinted that unity will only last as long as mid-February as they expect Brussels to hold firm on any renegotiation. The FT’s Henry Mance, reporting from parliament, highlights that Theresa May has insisted that EU leaders “want a deal” on Brexit as she began her push to win concessions from Brussels on the subject of the Irish border. Mrs May said that, following Tuesday’s votes in favour of the framework of her Brexit plan B, she now had the support of a majority of MPs. The government is yet to give detail on how it intends to replace the backstop, the most controversial part of the withdrawal agreement, which the EU has said is not open for renegotiation. Jack Dromey, Labour MP, again tries to get May to rule out a no deal Brexit – the PM responds as before that the only way to avoid no deal is by having a deal, and that is what she is focusing on. The contradiction in May’s negotiating position following Tuesday’s votes in parliament has been noted in Berlin. While Theresa May is insisting the vote on the Brady amendment – to remove the permanent Northern Ireland backstop from the deal with the EU – gives her a fresh mandate, it would appear that the other vote that passed – MPs rejecting a no deal – is being viewed as a non-binding vote by her and Brexiters. Steve Barclay, the Brexit secretary, told the BBC earlier on Wednesday that no deal remained on the table. This comment will seemingly cut little ice in Berlin. 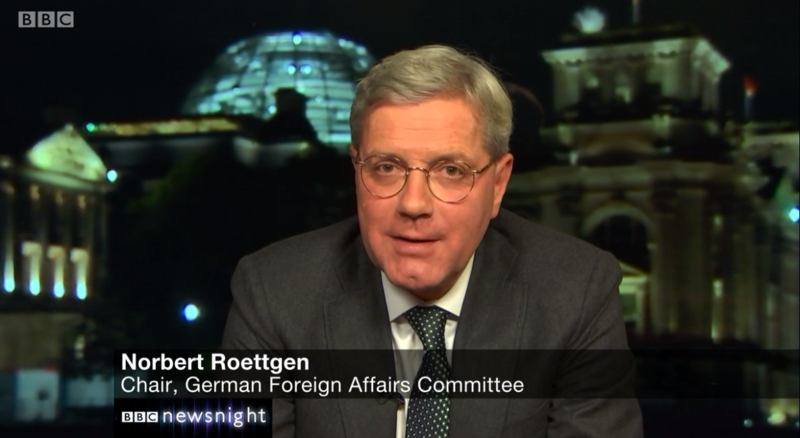 Norbert Röttgen, a CDU politician who is head of the Bundestag’s foreign affairs committee and former environment minister under German chancellor Angela Merkel – told Newsnight last night that the vote to seek renegotiation on Northern Ireland did not represent a new position so the EU would not consider it. He described it as a “domestic technical move to preserve the unity of the Tory party”. At the same time he highlighted the fact that the vote to reject a “no deal” Brexit was a “new clarity” and suggested the Commons would have to return to that position at a later date. 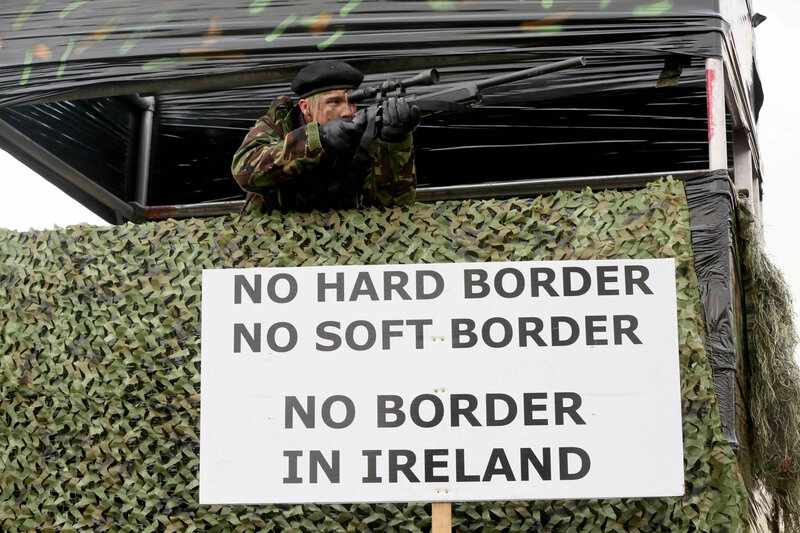 Troops on the Irish border? Nigel Dodds, deputy leader of the DUP, the Northern Irish party that props up the Tory government and is opposed to any further integration with the Republic, accuses Dublin of stirring up emotions by suggesting earlier this week it may have to deploy troops to the border in the event of a no deal Brexit. He asks the PM to condemn this talk given the history of violence in Ireland. Theresa May has ended her session answering questions from MPs, with little new detail yielded over what she wants from Brussels to replace the agreed backstop arrangement to ensure no hard border between Ireland and Northern Ireland. She said that there were a number of proposals being considered, and pushed MPs to support her eventual deal. Next for the PM will be a meeting with opposition leader Jeremy Corbyn, and then calls with the Irish prime minister and the EU’s Donald Tusk. 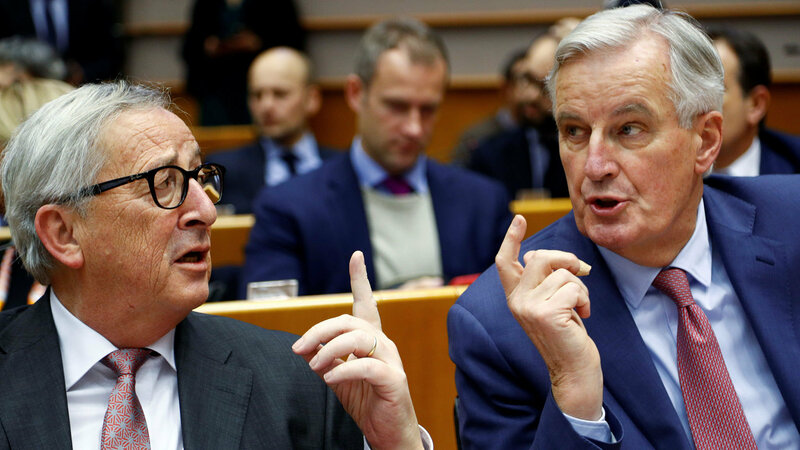 Elsewhere, Juncker and Barnier will be in the European Parliament this afternoon, and expected to talk about Brussels’ position on Brexit. 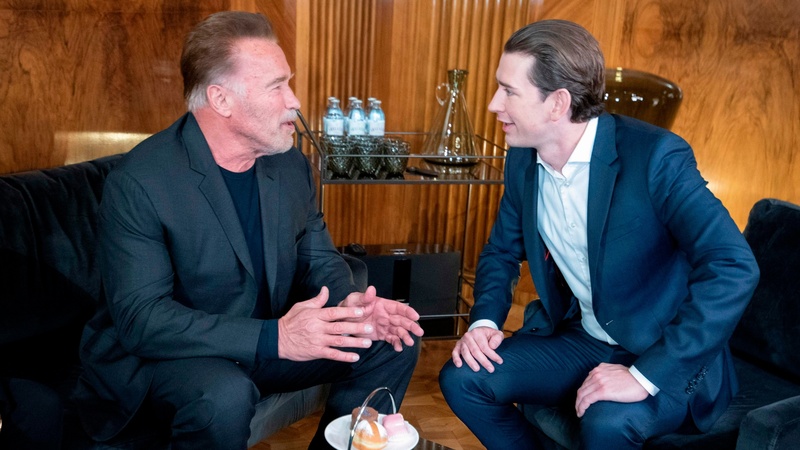 Austrian Chancellor Sebastian Kurz has become the latest leader of the bloc of the 27 EU member states to reject any renegotiation of the Brexit deal. Leo Varadkar has insisted that Europe won’t reopen the UK’s Brexit treaty to recast the Irish border backstop, according to the FT’s Arthur Beeslay, saying Dublin and Brussels will stand by the deal that was signed by Theresa May. “The withdrawal agreement is not up for renegotiation and is not going to be reopened,”Ireland’s premier told parliament in Dublin. He said he will speak by phone with Mrs May on Wednesday afternoon but held out no prospect of changing the backstop to avoid the reinstatement of checks on the border with Northern Ireland. The taoiseach dismissed the idea that “alternative arrangements” to the backstop could be settled after the UK premier urged the house of commons to pass the Brady amendment. 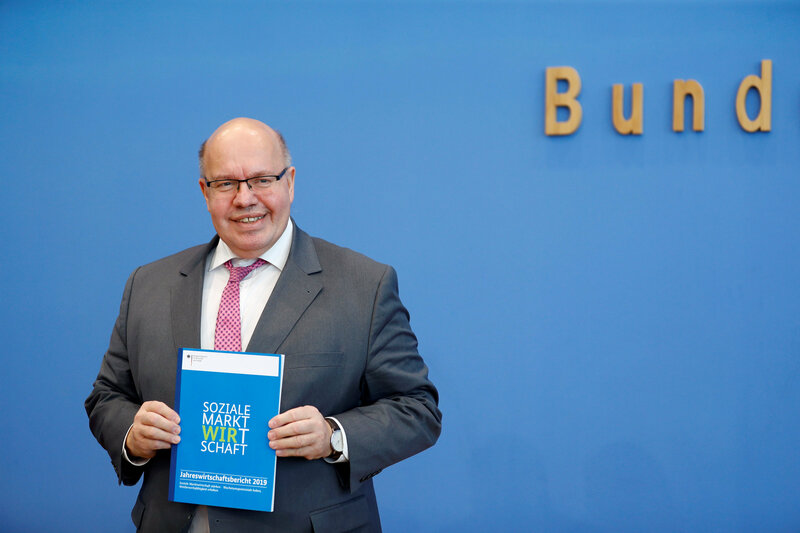 Peter Altmaier, the German economy minister, just announced the government was adjusting its growth forecast for this year from 1.8 per cent to 1.0 per cent and said Brexit was one of the main factors for the downgrade, the FT’s Guy Chazan reports from Berlin. He added that a no-deal Brexit would hurt the UK more than the EU, but due to Germany’s high volume of exports to Britain, Berlin was determined to “do all it can to prevent a disorderly Brexit”. Simon Coveney, deputy Irish premier, piled pressure on the UK in a speech, saying that time was running out to settle Brexit talks and there were no achievable alternative arrangements to the backstop proposed. Mr Coveney said there was no change in European solidarity with Dublin on the question of the backstop, writes the FT’s Arthur Beesley. Lack of Labour party discipline? The Brexit debate has exposed big rifts inside both the UK’s two main political parties, although Theresa May appears to reunited the Conservatives, however, temporarily, following the votes on the various amendments in the Commons on Tuesday. The same can not be said of the Labour Party. 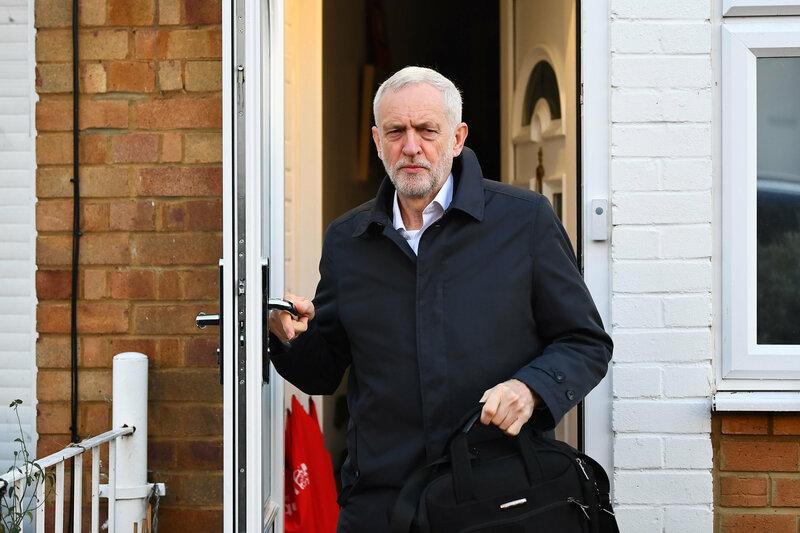 The FT’s Jim Pickard has just had a breifing with Jeremy Corbyn’s spokesman, who was pressed hard on whether there would be any disciplinary action taken against the eight Labour front benchers who abstained on the Cooper amendment last night. The Cooper amendment, which sought to bind the government to extending Article 50 (the legislation triggered two years ago by the UK to leave the EU on 29 March), was defeated. But if the eight MPs had obeyed the party whip the result would have been much closer. There’s a suspicion among Labour Europhiles that the whips gave the private nod to those MPs to defy them, including Gloria de Piero and Melanie Onn, because most of them are in heavily Leave-voting seats. The FT’s Whitehall editor James Blitz expects nothing to change in terms of Brexit given the EU refusal to take up Theresa May on her demands to re-open the deal. Instead, he argues British MPs will be staring at a situation in mid-February (when May has promised to return to the House for the next vote on Brexit) where the UK is just six weeks from the Brexit cliff edge and the risk of no deal. He believes MPs are likely to revisit last night’s failed amendments calling for legislation to extend Article 50 (the Cooper-Boles amendment) and to put in place the parliamentary machinery to explore alternatives to the May deal (the Grieve amendment). And next time round, both motions could pass — not least because some cabinet ministers may finally break ranks and support them. Where would that leave matters? Mrs May might want to indulge in her usual tactic of kicking the can down the road, perhaps accepting the Cooper amendment and asking the EU for a three-month extension to Article 50 to give her negotiation more time. Oliver Letwin, a Conservative MP, said that Europhile MPs would revive their effort to block a no-deal Brexit. The so-called Cooper-Boles amendment, which paved the way for an extension of Brexit talks, was defeated by a margin of 23 votes in the House of Commons on Tuesday, writes Henry Mance. “We will have an opportunity for a repeat, I hope with a different result, if the Prime Minister’s deal doesn’t succeed, in two weeks or so,” Sir Oliver told BBC 5 Live. He added that he would be “very surprised” if Mrs May succeeded in negotiating a different deal with Brussels, and called for cross-party negotiations instead. The pound has barely moved a day after the UK parliament voted on a number of amendments to the Conservative government’s Brexit deal, writes the FT’s Sarah Provan. Sterling languished in intraday London trading on Wednesday at 1.3087, up 0.1 per cent from late-afternoon levels on Tuesday in New York. The so-called Yvette Cooper amendment, which sought to delay the date of the UK’s divorce from the EU should an agreement not be struck by late February, was one of the most closely monitored items on Tuesday’s voting list. Its defeat added to uncertainty over Brexit, and knocked the pound 0.73 per cent lower against the greenback on Tuesday. 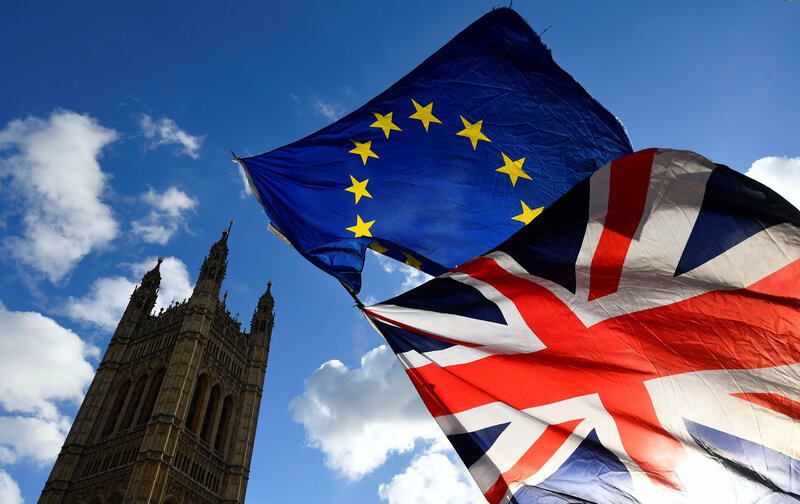 “Market participants building optimism that a ‘no-deal’ Brexit will be avoided have been challenged by parliament’s failure to pass the ‘Yvette Cooper’ amendment,” said Lee Hardman, currencies strategist at MUFG. Cracks in EU’s united front emerging in Berlin? The FT’s Guy Chazan in Berlin says a key MP in Angela Merkel’s party, the CDU, is taking a different view of the united front shown by the EU so far and the blunt rejection of Theresa May’s attempt to re-open negotiations of the Brexit deal over the Northern Ireland backstop. Mr Seif added the vote yesterday showed that the majority of MPs in the Commons don’t reject the withdrawal treaty as a whole, but just the backstop. The proposal voted through yesterday which sees an alternative to the backstop is “in domestic political terms big progress”, he added. 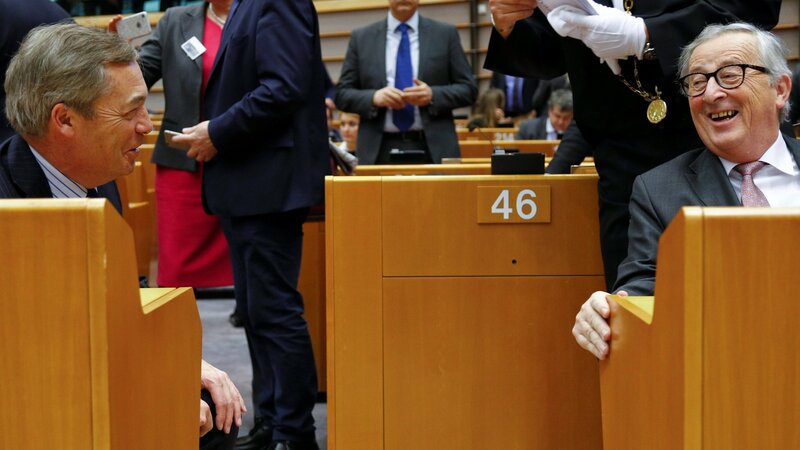 In the European Parliament, the EU president, Jean-Claude Juncker (pictured below with Nigel Farage, the British pro-Brexit MEP credited in large part with securing a Leave vote in the 2016 referendum) has insisted that the Brexit agreement “will not be renegotiated”. Yesterday’s vote, he said, has further increased the risk of a disorderly Brexit, writes the FT’s Mehreen Khan. We have no desire or incentive to use the safety net. But at the same time no safety net can be removed. The House of Commons is against many things…but we still don’t know what the House of Commons is exactly for. The concept of alternative arrangements is not new. It is referred to in the political declaration and our letter to PM May. But the concept is not a plan. It is not an operational solution… I will be extremely clear about the position of the EU that I have today. He said that there would be no hard border in Ireland, “no slipping back into darker times past”. 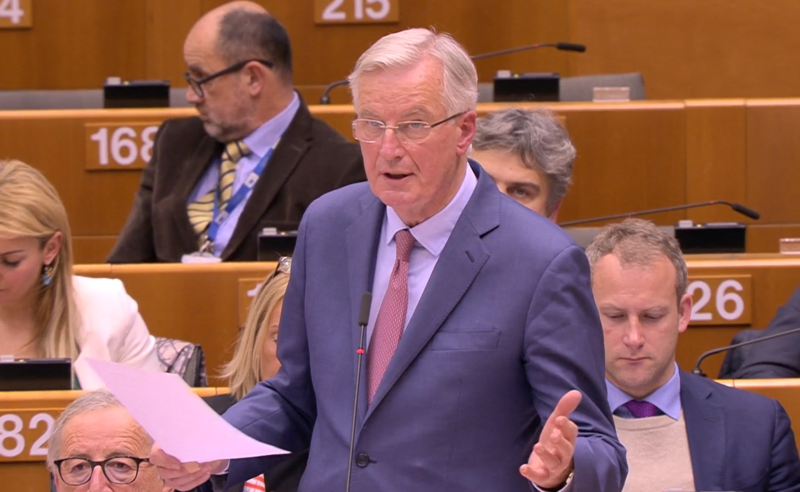 Michel Barnier (pictured below right) has taken the floor in the debate in the European Parliament, making his first public remarks after Theresa May said she would reopen the Withdrawal Deal. The EU’s chief negotiator said the alternative arrangements have “never been defined” by the PM or her MPs and insisted that the backstop was not designed “against” the interests of the UK, writes the FT’s Mehreen Khan. 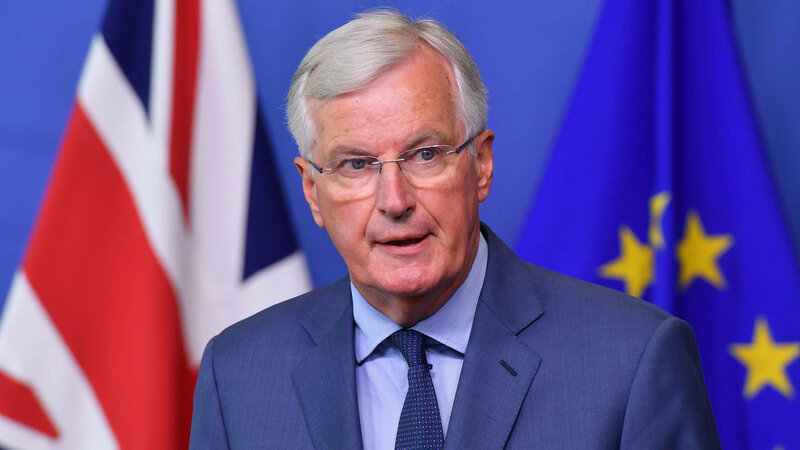 Barnier has hit out at the “blame game” of UK MPs who are accusing Brussels of imposing the backstop on the Brits, writes Mehreen Khan. The Frenchman has said he is open to “alternative arrangements” but only as soon as the divorce agreement is ratified. “No-one can say what form these alternative arrangements can take so they can be operational. Calmly and clearly I will say right here and now: we need this backstop as it is”. Both Juncker and Barnier have finished there presentations and the leaders of the various political factions in the European Parliament are taking it in turns, lamenting the decision of Theresa May to make a U-turn on her insistence that the Irish backstop could not be renegotiated as well as the lack of a unified position in parliament for any deal with the EU. Roberto Gualtieri, an Italian socialist MEP who sits on the European Parliament’s Brexit steering committee, said if the UK wants to avoid the backstop it will have to agree to a closer relationship with the EU, such as a customs union, which is the position of the UK Labour party. It is worth noting that the European Parliament has a veto over any final Brexit agreement. Guy Verhofstad, a former Belgian PM and the European Parliament’s Brexit chief, has questioned the need for Theresa May to come to Brussels at all for her “renegotiation” attempt. “She is always welcome, especially here in the European Parliament. But I’m asking myself, in all honesty, for what?”, Verhofstadt has told MEPs. He laments the fact that the British government has not voted in favour of anything positive in its future relations with the EU in the last two years. He accuses the Conservative party of conducting an internal fight over its position in Europe that has turned into an existential threat for the whole country. He says he hopes the talks between May and Corbyn will be held in a spirit of putting country before party. 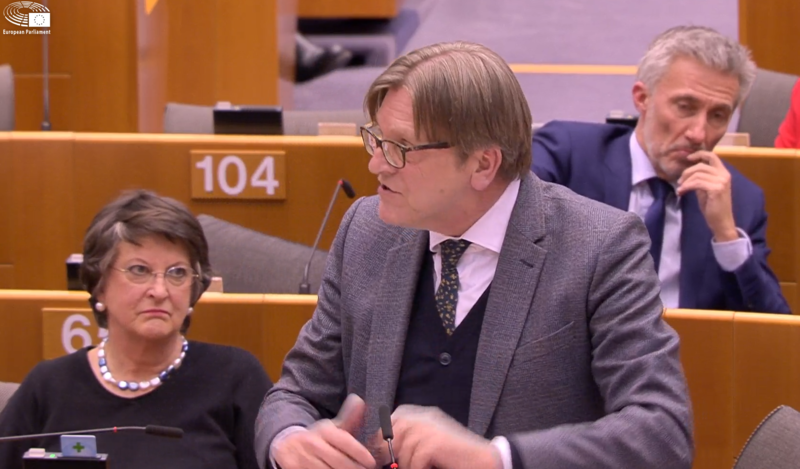 Just before Mr Verhofstadt spoke,, Ashley Fox, a Conservative MEP, told his fellow parliamentarians that they should forget any idea that the UK will renounce Brexit and urges all parties to work together to come with a solution. The German press are reporting another senior German politician has expressed dismay at the way the EU issued a blunt rejection of Theresa May’s attempt to re-open negotiations of the Brexit deal over the Northern Ireland backstop. The Guardian’s Dan Sabbagh has an interesting take on how the meeting between the PM and Labour leader went, which finished about 50 minutes ago. He reveals that Downing Street appears to have had no communications people “in or around” Theresa May, which means they cannot as yet comment on claims by Corbyn’s spokesperson that the PM was shifting towards Labour’s position on a customs union (worth bearing in mind that a UK-EU customs union would remove the need for the controversial Northern Irish backstop, although Brexiters strongly oppose that idea too). Dan reports that May and Corbyn will meet again in the coming days. Here’s Corbyn and the Labour party’s chief whip, Nick Brown, on their way to meet the PM in Westminster earlier. This is the first time the two party leaders have met to discuss the crisis around Brexit. 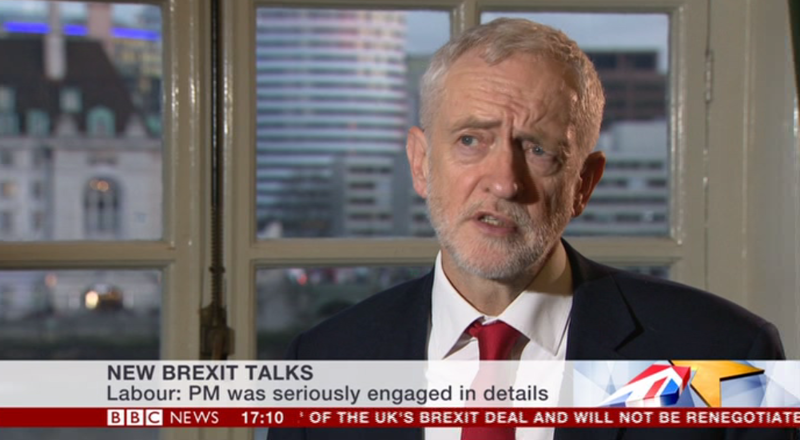 Jeremy Corbyn has been taking to the BBC after his meeting with Theresa May. He said the talks were “serious” and “explatory on the issues.” He set he set out his party’s case for a comprehensive customs union with the EU with a say in how they negotiate trade deals. He said he sought assurances that she would not come back with a threat of no deal as a way of getting support for her “failed deal” after the Commons last night voted against a no deal Brexit. He did not enlarge on what she had said in response but earlier today Brexit secretary Steve Barclay insisted no deal remained an option. When asked if May had been “receptive” to his ideas, he replied that she had “listened”. Despite some spinning earlier to the Guardian’s Dan Sabbagh from the Labour side that May was shifting towards some sort of customs union with the EU after she held talks with Jeremy Corbyn, it seems Number 10 has got its act together on the communications front. Following the initial flurry of activity, things have quietened down. Not surprising perhaps as Downing Street and Theresa May needs time to figure out exactly what workeable “alternative arrangements” it is going to take to Brussels to replace the backstop, given that the examples May gave earlier have all been rejected as unworkable by the EU. The mood across Europe, appears to be one of resignation and bafflement as they struggle to come to terms with May’s u-turn on re-opening the withdrawal agreement given the fact that there is still no majority in the Commons for a workable deal with the EU. There were suggestions on the BBC earlier that the PM may not travel to Brussels until next week. That’s it for now, thanks for joining us.